Who wants a 10,000 character limit for tweets? 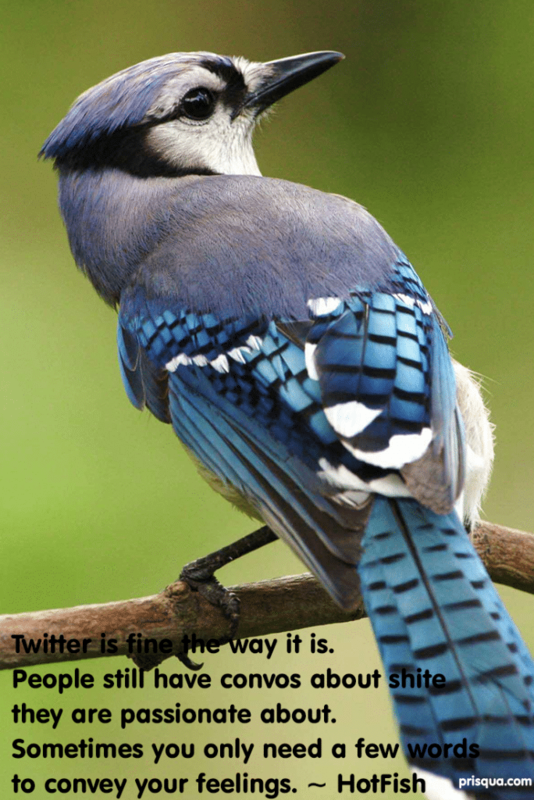 I came across a post on iMore about Twitter considering an increase of characters from 140 to 10,000 per tweet. My immediate reaction as I read the title – HELL NO! I shook my head in disbelief as I read the article. Why would Twitter even consider such thing? Yes, people have been asking for an increase in characters and I would be happy with a slight increase. Many times I could not figure out how to tweet something in my mind in 140 characters. So I gave up. If you are including a link, it is advisable to use a url shortener. Otherwise, you might miss the chance to share that link if you have a long username. I think at some point I read your Twitter username would not count in the 140 characters. I am not sure if it was a rumor. The best change Twitter has made is to allow to add your Tweet when you do a RT (retweet). I would love to see a slight increase for sure but 10,000 characters? That is overkill. Twitter is a microblog and its main point is brevity so why change the format now? There are several platforms that can handle the 10,000 characters. So I took words from my novel to measure up how much is 10,000 characters. 10,000 characters is roughly more or less a 2000-word article. That is a long status update! I have to push myself most of the time to come up with a 1500-word post so 2000 word is not bad. But could one possibly need 2000 words on Twitter? Worst case scenario – if you need more words, you can create an image of text. And this is not something new. So if you want to call it bypassing the 140 characters’ limit, yes sure, but rarely would you do an image of text 2000 words long. That was a result of a few commenters saying allowing more characters would solve the issue of encouraging people to use less slang and write coherent sentences. Please, let me laugh out loud. Because if you can’t spell or use punctuation in one sentence, there is no way increasing the character limit will change that. Just go on dating sites to see the proof. And for the people who think they are going to get “more intelligent” conversations on Twitter or if you are in need of having a chat with other people, there are also several apps for that. Twitter is a microblog and I would like it to remain just that. There are plenty of other platforms that allow more characters. If you really need to say it, get a blog, go on Facebook or G+! Tumblr is another one. It is not like you don’t have options. From experience, I think by just doubling the current limit would be a great improvement. 300 characters limit would be perfect. 500 characters would be luxury. Anything above that would ruin the Twitter experience. So I would really love to know why Twitter is even considering that change. Would more people come to Twitter if you could write 2000 words? To Have or Not to Have a Facebook Profile, That is the Question! I am soooo in love!